The most consistent contributor for the Vikings offense was RB Mike Boone who showed solid power running through the middle. His biggest contribution was a nice 46-yard screen pass, where he made several nice cuts to get to the sideline and almost to the end zone. The best throw and only touchdown of the night came on a throw from third-string QB Kyle Sloter. It was a go route dropped in on the back shoulder to Brandon Zylstra for a 24-yard touchdown. Sloter was decent for the Vikings but showed no signs that he is worthy of a roster spot at this time. George Illoka played well into the fourth quarter for the Vikings and showed up best in run defense. His highlight of the night came on a 3rd & 1 stop deep in Titans territory. Illoka showed that he could be a contributor in a reserve role for the Vikings secondary tonight as he is seemingly fitting in with his new team. Stephen Weatherly led the way for the dominant Vikings defensive line as he was able to show up as a pass-rusher and made a solid impact in run defense. 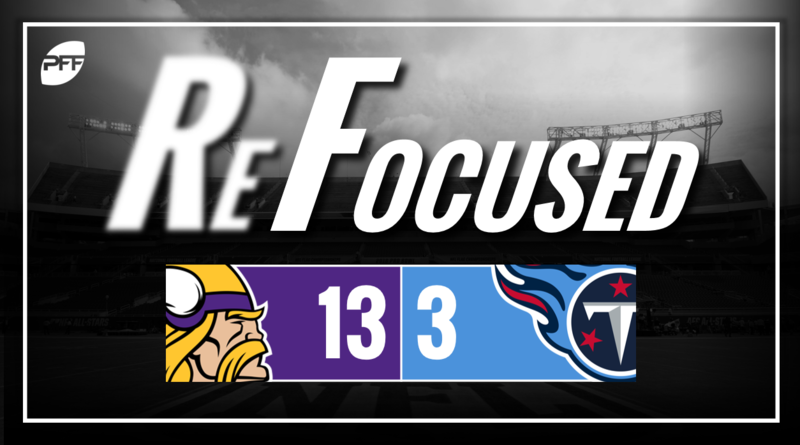 The Vikings finished with four sacks and held the Titans to only 3.2 yards per carry. Luke Falk played the entire game for the Titans in their final preseason game Thursday night. He was decent in the intermediate areas of the field but was unable to make a good deep throw deep the whole game, showing his deficiencies that he had coming out of Washington State. Dalyn Dawkins carried the rushing load for the Titans with 17 attempts for 53 yards. Dawkins showed good ability to find cutback lanes in zone running schemes and was responsible for some of the few bright spots of the night for the Tennessee offense. Minnesota: The Vikings defensive line controlled the Titans offensive line for the majority of the night, making it uncomfortable for Falk in the pocket and slowing down any help he could get from the running game. Tennessee: The Titans offense’s inability to push the ball down the field and protect the quarterback sufficiently ultimately led to their inability to put points on the board and have a chance to win the game.